Guiré lives in Koussago village, in the Kirsi commune in central Burkina Faso. Her husband works as a farmer while two of her children attend secondary school and three are in primary school. 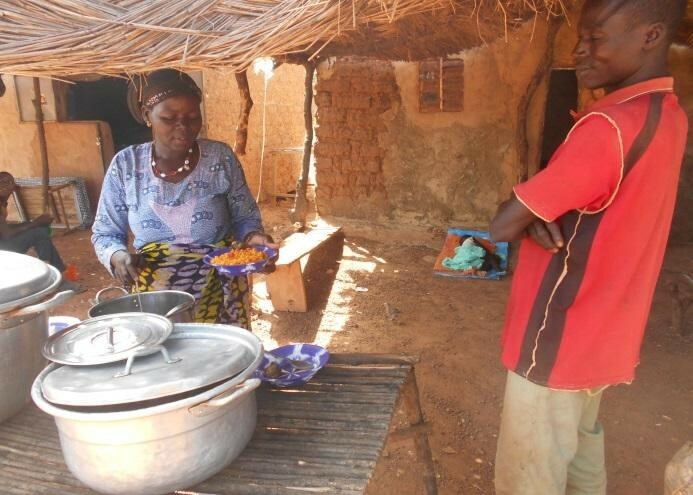 With the microfinance loan, Guiré was able to purchase and cook more food to sell every day, increasing her client base and her profits. She was also able to purchase a bicycle to save time on her commute, pay for school fees, purchase school supplies and clothing for her children, and purchase medicine, condiments and cereal to improve the health and nutrition of her family. After just one year, Guiré grew her business enough to pay back her original loan and accrued interest. She hopes to continue expanding her restaurant business and contributing to her family’s health and education. Post courtesy of The Hunger Project Global Office.